When observing contemporary relations between the People’s Republic of China (PRC) and Japan there seems to be a plethora of unresolved issues that strain the ties between the two countries; most importantly the disagreements regarding memory of the Second Sino-Japanese War (1937–1945) and the territorial dispute regarding the Diaoyu/Senkaku islands. Naturally, a priority when analysing modern China’s relations with Japan should therefore be a focus on ‘what went wrong’. Fortunately, ample research has been done on the history issue and territorial disputes in post-war Sino-Japanese relations, and how these hamper international relations in East Asia (Rose 1998, Rose 2005, Seraphim 2006, He 2009). At the same time this scholarship, as well as scholarship on the development of post-war Sino-Japanese trade (Soeya 1998; King 2016), has not ignored the remarkable progress made in bilateral relations between the two countries since 1945. It is the latter angle, tracing ‘what went right’, that will be explored further in this chapter. We will draw attention to how the Chinese government utilised transnational networks as a basis for developing Sino-Japanese relations in the first decades of the Cold War (before 1972) and highlight how it was this element in bilateral relations that led to many of the breakthroughs and positive developments in the past. The period immediately after the war saw many countries in Asia and elsewhere newly liberated from imperialist control. This led to such initiatives as the non-aligned movement and the search for an alternative basis for international relations, not based on Cold War superpower rivalry, that culminated in the Bandung Conference of April 1955, at which Chinese Premier Zhou Enlai played a major role and where the Japanese were also represented. As Hilton and Mitter have put it, imperialism ‘had inspired one set of global interconnections but the opposition to it provoked others’ (Hilton and Mitter 2013, 8). While Japan’s position in Asia at this moment was ambiguous as a former colonial power and a strong regional ally of the US, there was a lot of sympathy for these efforts among Japanese progressives, and this is where the Chinese saw an opening for conducting its interactions with Japan. Especially in the first few decades after the founding of the PRC in 1949, the relationship between the two countries faced many difficulties, amplified by the fact that from 1949 to 1972 they did not have official diplomatic relations. The achievement of diplomatic normalisation in 1972 and the Peace and Friendship Treaty that was finally concluded in 1978 were the result of an intense process of bridge-building and (nominally) non-governmental contacts spanning decades. At the centre of these efforts was a transnational network involving people from both countries; a network that was in many ways deliberately cultivated by Zhou Enlai and the Chinese Japan hands under his guidance, thereby skilfully utilising the fact that their objectives had considerable support in Japan. Often referred to as People’s Diplomacy (renmin waijiao) or People-to-People Diplomacy (minjian waijiao), the Chinese sought to overcome the fact that there were no official relations by appealing directly to the Japanese people and concentrating their interactions on them. With diplomatic normalisation and the Peace and Friendship Treaty a lot of these efforts came to fruition, and they also contributed to a steady improvement in relations, especially concerning trade, through the 1980s. Many of the Chinese involved in the crafting of these ties had long-standing ties to Japan that were rooted in the pre-1945 era; for example, many were Overseas Chinese who had moved to the PRC from Japan shortly before or after 1949, or Chinese who came from the Northeast and had therefore been exposed to Japanese expansionism from a young age. Many Japanese of course had similar ties to China that could sometimes be traced back decades. Introducing the connections between such actors, and how such people-to-people ties influenced decision making, can provide us with a unique angle for locating modern China’s relations with Japan, and the world, in broader 20th century transnational history. 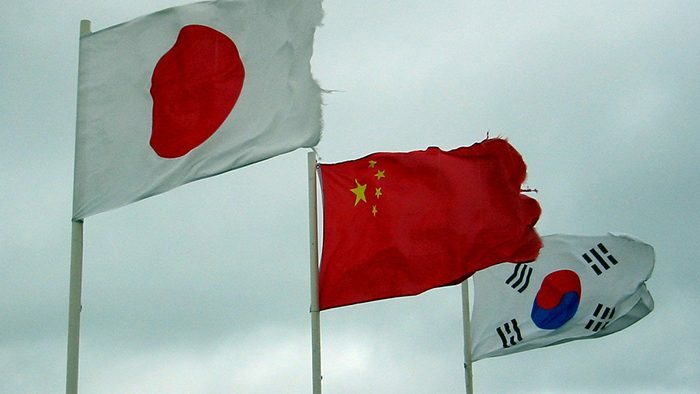 Largely based on memoirs of the Chinese Japan specialists involved in People’s Diplomacy, some of the main transnational actors and mechanisms active in Sino-Japanese relations will be introduced with the aim of tracing the deliberate use of such informal ties in China’s relations with Japan. This approach gives us an idea of ‘what went right’ in Sino-Japanese relations and invites us to contemplate whether the past contains any positive lessons for the present. Since a lot of the Chinese tactics connected to People’s Diplomacy were honed during the tenure of Japanese Prime Minister Kishi Nobusuke (1957–1960) and were aimed at cultivating ties with those in Japan opposed to Kishi’s right-wing politics, this chapter implicitly raises the question of whether such networks can once again be utilised by the Chinese and those Japanese opposed to the policies of Kishi’s grandson: current Prime Minister Abe Shinzō. With the signing of the Treaty of Taipei on 28 April 1952, Japan officially recognised the Republic of China (ROC) government of Chiang Kai-shek in Taiwan as the sole legitimate government of China. This reflected a new Cold War reality in which the US-Japan alliance was the determining factor for the Japanese government in shaping its foreign policy stance. Nonetheless there was enormous resistance against this among the Japanese public as well as among its leadership. The signing of the treaty was the result of intense US pressure on Japanese Prime Minister Yoshida Shigeru who, though he was a staunch anti-communist, was in fact convinced of the importance of trade with the PRC for Japan’s economic growth, and therefore reluctant to forgo relations with Beijing entirely. This sentiment would foreshadow a remarkable engagement with the PRC among many Japanese mainstream and even conservative politicians, as well as the business community, in the following decades. An immediate and more visible reaction to Japan’s becoming ‘locked’ into the US camp in the Cold War and how this robbed the country of many avenues for engagement with the PRC, came from Japanese progressives and the Japanese left. Grassroots organisations such as the Japan-China Friendship Association (JCFA), founded in October 1950, spoke for a significant portion of the Japanese people in arguing for the urgency of concluding a peace treaty and diplomatic normalisation with the PRC, without which ‘the state of war continued to victimize both peoples – if not with bullets, then by preventing the settlement of humanitarian issues and economic recovery through trade’ (Seraphim 2006, 110). Sentiments like these meant that there was great potential for the Chinese to establish people-to-people ties with a variety of Japanese. The initial initiative among Japanese for the improvement of Sino-Japanese relations via such associations as the JCFA was taken by people who had strong connections in China and had often lived there for years prior to 1945 as reluctant participants in Japanese expansionist endeavours. For example, two of the JFCA’s prominent members were its first leader Uchiyama Kanzō, who had run a bookshop in Shanghai from 1917 to 1945 which had been a refuge for progressive Chinese intellectuals like Lu Xun; and Itō Takeo, a prominent member of the Research Department of the Southern Manchurian Railway who had spent a part of the war in jail (Seraphim 2006, 111). There were in fact a number of issues that inevitably had to lead to some interaction between the Chinese and Japanese, even with the absence of official relations. A priority for both sides in the 1950s and 1960s was the gradual expansion of Sino-Japanese trade, something that was seen in both countries as essential for reviving their economies after the war (King 2016). To that end several non-governmental trade agreements were signed, and by 1965 Japan had become the PRC’s most important trading partner (King 2016, 2). Another issue that called for intense negotiations was the repatriation of the many Japanese still remaining in mainland China after the war. The successful repatriation of a large number of them from 1953 to 1956 was seen as an early success of China’s People’s Diplomacy and Beijing’s cooperation on this issue led to more favourable views of the PRC in Japan (He 2009, 153). With the increase of exchanges in the 1960s came more breakthroughs like the establishment of permanent trade liaison offices and an exchange of foreign correspondents. Liao Chengzhi had many Japanese friends: friends he had inherited from his father Liao Zhongkai, friends from his studies in Japan when he was young, friends from the anti-Japanese struggle, friends from after the Second World War, and even more from after the founding of the new China; there were new friends that were introduced to him by, or that he got acquainted with via, old friends, as well as new friends introducing [more] new friends. He blended all these friends into Sino-Japanese ‘People-to-People Diplomacy’ (Wu and Wang 2007, 120). Starting with people exchange, [we would] work tirelessly to develop the traditional friendship between the Japanese and Chinese peoples…This was an unprecedented, large “systematic program” that needed an integrated specific long term policy. It required several generations of Chinese and Japanese people’s combined efforts and abilities, to deal with the historical issues (Wu 2002, 27). For changing the relations into official government relations, they had to start from people’s interaction, people-to-people diplomacy, and “using the people as government officials”. This could lead the Japanese government to change its anti-Chinese policy; using an accumulative step-by-step method, working patiently and meticulously to return to official relations and realize the Peace and Friendship Treaty (Wu 2002, 27). Negotiations on issues like trade and repatriation would be a window for the Chinese to expand their network further, and whenever a (nominally non-governmental) Chinese delegation would visit Japan, Liao and the other Japan hands would go to great lengths to meet as large an amount of people as possible in a more unofficial capacity. For example, when a Chinese Red Cross delegation visited Japan in 1954 to discuss the repatriation issue, Liao Chengzhi was a part of the delegation, his first visit in decades. Many people were eager to meet with Liao, and Xiao Xiangqian as secretary of the delegation was responsible for organising the many meetings that took place after the ‘official’ negotiations had finished. These additional meetings were with a large variety of people, and the discussions mostly unrelated to the issue that was the official reason for their visit. Lamenting that Japanese evening receptions seemed to be never-ending, Xiao crammed in as many ‘unofficial’ evening meetings as he could (Xiao 1994, 40). The idea of the Japan Group was for all kinds of organisations to invite Japanese parliamentarians, business people, from culture and the arts, to encourage mutual understanding and friendship between the Chinese and Japanese peoples and a good working relationship; this was needed to develop [the relations] in a broader and deeper direction and to increase the substance (Wu 2002, 59). In meetings evaluating the state of affairs in Sino-Japanese relations in 1955, the Japan Group decided that developing cultural exchange had to be a new priority from 1956 onwards (Wu and Wang 2007, 227). To this end former Prime Minister Katayama visited Beijing in 1955, signing an Agreement on Japanese-Chinese Cultural Exchange on November 27, which would lead to the establishment in Japan of the Japan-China Cultural Exchange Association the following year. While the first visit was about making friends widely and entering a new phase, the second visit was about using that base to make a substantial step forward, in order to advance Sino-Japanese friendship in a more broad, more deep, and more dynamic direction. The common view of the Chinese and Japanese peoples was that for the development of Sino-Japanese friendship the two aspects of strengthening Sino-Japanese exchange and firmly opposing Kishi Nobusuke’s anti-China policy were both indispensable (Wu and Wang 2007, 179). Among the Japanese friends that Liao Chengzhi made were well-known people from [the fields of] economics, politics, culture, education, labour, youth and women’s [organisations], religion, and so on, many of society’s leaders from all sections of Japanese society and who all had influence in their fields (Wu and Wang 2007, 120). Many of these ties would continue to deepen during the government of Ikeda Hayato (1960–1964) which was again much more favourably disposed towards Beijing. The many people-to-people exchanges taking place in this period led to the creation of the China-Japan Friendship Association (CJFA), founded by the Chinese on October 3, 1963. This is much later than its Japanese counterpart (founded in 1950, as mentioned earlier). According to Sun Pinghua the Chinese had resisted the creation of such an association because of the anti-China policies of successive Japanese governments (Sun 1998, 118). While there were and are many Chinese organs for the promotion of People’s Diplomacy, this was the first such organ aimed at a particular country. Its goal was mainly to serve as a bridge for people in China; between those working with Japan and groups that might be interested in exchange with Japan. Xiao Xiangqian describes the association’s activities within China as ‘bringing together those in the frontline of Japan-related work [on the one hand] with academics, cultural figures, and nongovernmental associations in Beijing [on the other]. There were basically no other foreign friendship organisations [in China] where such a colourful collection of people would be assembled’ (Xiao 1994, 115). While the numerous nongovernmental exchanges served the purpose of promoting a favourable image of the PRC in Japan and generally increasing China’s leverage, these kinds of delegations also served as a convenient cover to send some of the Japan Group members to Japan to engage in semi-official negotiations while remaining somewhat under the radar. This was useful so as not to draw the ire of right-wing and pro-Taiwan politicians. Especially on the eve of diplomatic normalisation, many of Liao Chengzhi’s old Japanese friends went back and forth between Tokyo and Beijing, passing on China and Japan’s principles and tentative plans regarding the resumption of relations, and even the draft of a joint statement, thereby connecting the paths of Sino-Japanese ‘People-to-People Diplomacy’ and inter-governmental negotiations, and smoothly realizing the normalisation of diplomatic relations. This was unprecedented in the history of international relations and diplomacy (Wu and Wang 2007, 121). While in the new era after 1972 the role of People’s Diplomacy and transnational networks would be to a large extent superseded by connections on a governmental level, with the current impasse in bilateral relations it is worth looking to the past to learn from the mechanisms that have contributed to the many achievements in post-war Sino-Japanese relations. The idea of stimulating people-to-people interaction is something that has been gaining traction with Chinese scholars such as Zhiqun Zhu calling for People-to-People Diplomacy between China and Japan as a way to counter the current downward spiral (Zhu 2015). The experience in the 1949–1972 era shows that transnational networks, both those that already existed and a variety of newly crafted connections, could be put to use for the achievement of political goals. While conditions, at a time such that international structures connected to the Cold War and the need for trade with Japan made Beijing open to Sino-Japanese interaction in a way that may be less prevalent now, it remains a potent example of how civic action across borders can change seemingly rigid political realities. Opportunities are manifold, with quantitative interaction now much higher than during the period discussed in this chapter, whether its foreign students, cultural figures, or business people doing the interacting. He, Yinan. The Search for Reconciliation: Sino-Japanese and German-Polish Relations since World War II. Cambridge UK: Cambridge University Press, 2009. Hilton, Matthew, and Rana Mitter. “Introduction.” Past and Present, Supplement 8: 7–28, 2013. Itoh, Mayumi. “Mr. Gotō Goes to Beijing: The Origin of Ping-Pong Diplomacy.” Sino-Japanese Studies 18, 2011. King, Amy. China-Japan Relations after World War Two: Empire, Industry and War, 1949–1971. Cambridge: Cambridge University Press, 2016. “People-to-People Diplomacy in China-Japan Relations”; The Diplomat; Zhiqun Zhu; http://thediplomat.com/2015/03/people-to-people-diplomacy-in-china-japan-relations/; March 17, 2015; Accessed: June 29, 2017. Rose, Caroline. Interpreting History in Sino-Japanese Relations. London: Routledge, 1998. Rose, Caroline. Sino-Japanese Relations: Facing the past, looking to the future? NY: Routledge, 2005. Sun, Pinghua. Chūgoku to Nihon no hashi wo kaketa otoko [The man who built a bridge between China and Japan]. Tokyo: Nihon keizai shimbunsha, 1998. Seraphim, Franziska. War memory and social politics in Japan, 1945–2005. Cambridge, MA: Harvard University Press, 2006. Soeya, Yoshihide. Japan’s economic diplomacy with China, 1945–1978. Oxford UK: Oxford University Press, 1998. Wits, Casper. “The Japan Group: Managing China’s People’s Diplomacy Toward Japan in the 1950s.” East Asia 33 (2): 91–110, 2016. Wu, Xuewen. Fengyu yinqing: Wo suo jinglide Zhongri guanxi [Good Times, Bad Times: My experience of Sino-Japanese Relations]. Beijing: Shijie zhishi chubanshe, 2002. Wu, Xuewen, and Wang Junyan. Liao Chengzhi yu Riben [Liao Chengzhi and Japan]. Beijing: Zhonggongdangshi chubanshe, 2007. Xiao, Xiangqian. Tokoshie no rinkoku to shite [Good Neighbours Forever]. Tokyo: Saimaru shuppansha, 1994.